What's Happening at Hope This Month? 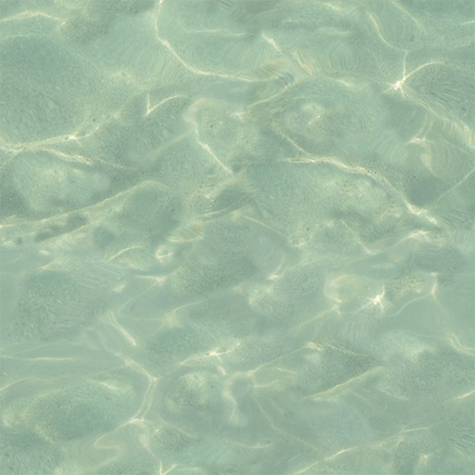 Thanks so much for checking out our newslett er for the month of July. You are welcome to call the church office if you need further information or to register for different activities at 815.623.6545. No matter the political party with which you identify, our country is facing a war of media sound-bites in a battle of identity politics. It is an unhappy irony that actors have become our politicians and the reporting of our political issues is viewed as acting. Conspiracy theories abound, and behind them a seething anger that has not escaped the church – our church. As your pastor, I am worried about you. My worry is not only to imply the danger such hate does to our heart, but also the danger it causes to our Christian witness. I wish I could say this problem is located in other churches but not ours, however I cannot. I hope to offer a sermon series on politics in due course that might help us think through this topic. In the least let me ask you to practice grounding your identity first not in your political party or even your country, but in your identity in Christ. I would also recommend that you rethink the way you speak about those with whom you disagree. And if you’re not careful – and I worry it is too late without a radical change in our political posturing, everything you say about Jesus will be labeled by non-Christians as nothing more than fake news believed only by those of such a tribal identity. Casey Ehlers was born and raised in Janesville, WI. He came to faith at age 15 after a battle with depression in December of 2003. 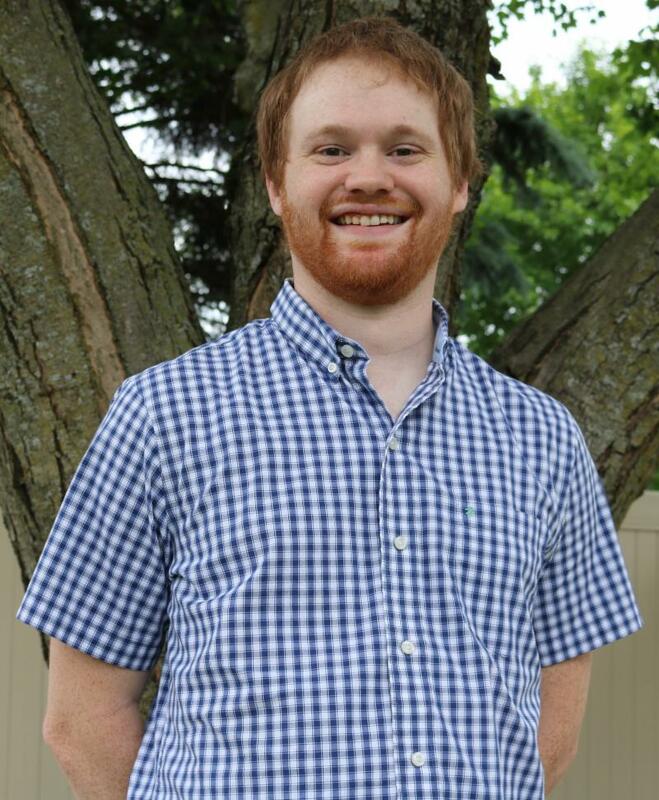 With a bachelor’s degree in Software Engineering from UW-Platteville, time spent in college (2006-2011) included great spiritual growth through InterVarsity Christian Fellowship. Primarily through this community, a growing love for apologetics, and the 2009 Urbana Missions Conference, Casey felt led away from computer programming as a career and stepped into the mission field upon graduation in 2011. This mission work led him to Beloit College, where he has served as a college missionary with InterVarsity ever since. Time on campus includes discipleship, pastoral care, and evangelism with students and faculty. Hope Missions has generously supported this Gospel-work over the past two years. 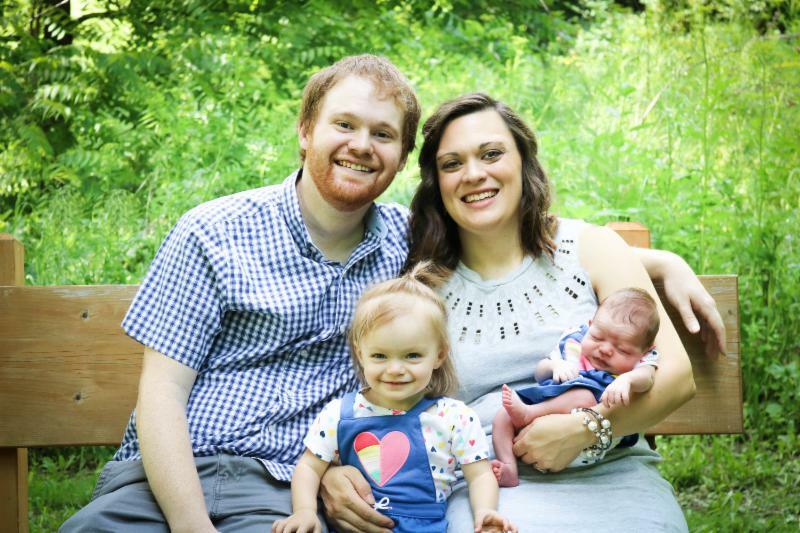 Alongside this ministry, Casey has also served as youth pastor at Rock Valley Chapel (EFCA) in Beloit from 2012-2014. More recently, ministry opportunities included teaching a Bible class to Chinese foreign-exchange students at Rock County Christian School and the pastoral internship here at Hope. Casey is approaching completion of his Masters (MA in Theology) from Trinity Evangelical Divinity School as well. August 3rd marks the 5th wedding anniversary of Casey to his wonderful wife Tracy. They have 2 beautiful daughters, Eloise Joy (20 months) and Edith June (newborn). Hobbies for Casey include reading, golf, and watching sports (Milwaukee Brewers and Dallas Cowboys). We are in the midst of planning for the next school year. 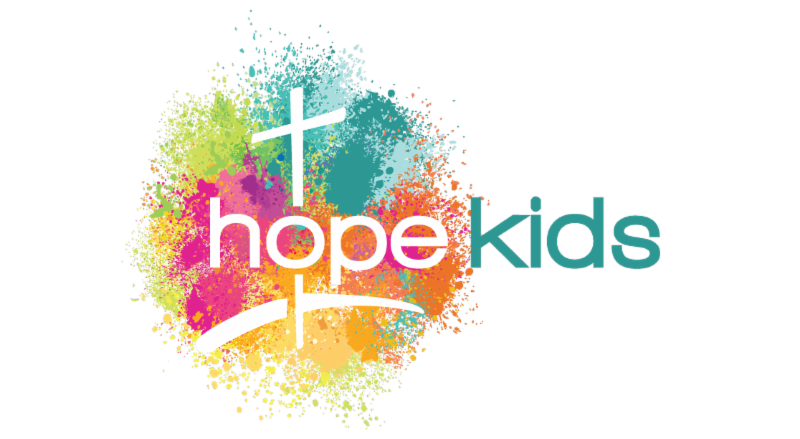 If you want to join an amazing group of people who are investing in children’s faith please contact me ( vera@hefc.net) to set up a time to meet and discuss how you can be a part of the Hope Kids Ministry. We have opportunities in many areas. The nursery needs someone to come in on a regular basis to clean toys so we do not spread cold and flu germs. This job can be done at your convenience. Please contact the church office if this is something you would like to volunteer to do. This fall, Hope Kids will be launching a new TWEEN Sunday school class. We will be pulling the 4 th and 5 th graders out of our regular Sunday School, giving them their own space and an exciting new curriculum. In preparation for this, we have invited the 4 th graders to join us at Camp 5-6, and renamed it to Camp 4-5-6. It is almost time for our annual KHUSA backpack party! Each year we give all of our returning mentor children a new backpack and the school supplies they need to have a successful year. This year we are also giving them a gift card to get a new pair of PE shoes. There will be a donation board in the lobby starting July 8. Please take a tag, purchase the requested item, and bring it back before the party on August 4 th. As soon as school starts we will be getting requests for more mentors. 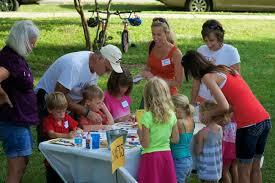 Please pray about becoming either a mentor or a prayer partner for a child in the Kinnikinnick School District. Contact Melissa Peshek ( mjpeshek@yahoo.com) or Jamie Anderson ( jpcanderson@charter.net) for more information. Applications are available in the church office. ﻿Let’s venture onto an uncharted island where you can survive and thrive, and where you are anchored in the truth that Jesus carries you through life’s storms! A big thank you to all those who participated in our Camp 4-5-6 week in June, and all the volunteers who made it possible! We had a wonderful week of delicious dinners, awesome worship music, engaging bible lessons, super-fun games, and great crafts! 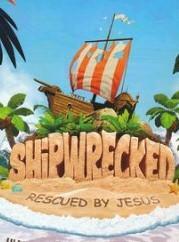 Next up is our “Shipwrecked” VBS week, which will be held during the week of July 16 th - 20 th, from 9:00am – 11:45am. This kids camp is for children 3 years old (and potty-trained) up to entering 3rd grade in the Fall. Child registration is continuing in the Fellowship Hall lobby on Sunday mornings, and online at www.hefc.net. You may also call the church office at 815-623-6545. Please invite your friends or neighbors to come along with you! Adults of all ages, and teens going into 7 th grade or older, are still needed to help with our July VBS week! Volunteer sign-ups are continuing in the Fellowship Hall lobby for the next two Sundays, or you can call the church office and ask to speak with Vera Juhlin or Vicky Steege if you have questions about serving. Our VBS decorating/prep work days are continuing as well, and schedules are available in the Fellowship Hall lobby. 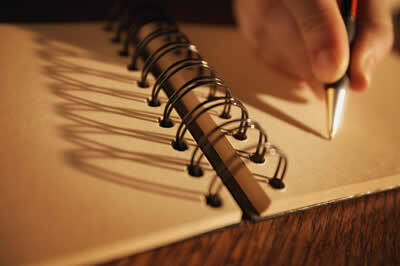 We invite you to come and help at any of our work days, when it is convenient for you. We have projects for everyone! We are still collecting donations for our VBS week. If you can help provide some of these needed items, please take a donation tag(s) off of the VBS donation board in the Fellowship Hall lobby, purchase the item(s), and then return the items to church by July 13th please. Thank you! Date : We desire to reach out into our community during the month of August with multiple gatherings in our neighborhoods throughout the Stateline area. Pray for these Neighborhood Gatherings as we seek to reach into the community around us. Please come meet us for Fun in the sun starting at 10:00 am. Feel free to bring a picnic lunch! 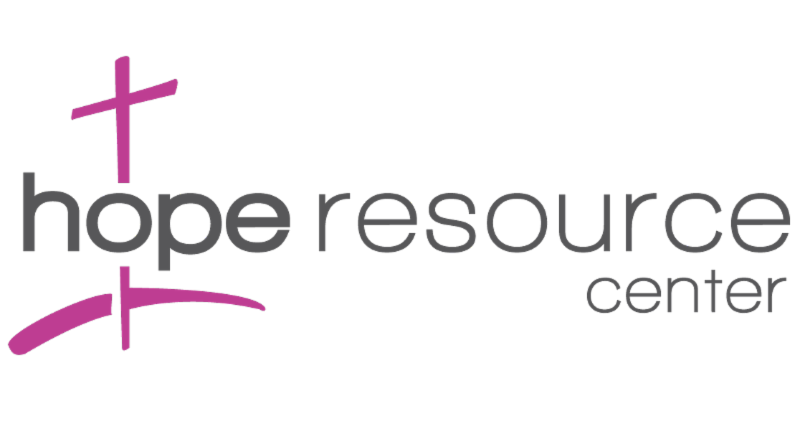 Hope Church Mission's Board will be hosting Chris Ruge (Director of Prayercast) on Sunday July 15th. 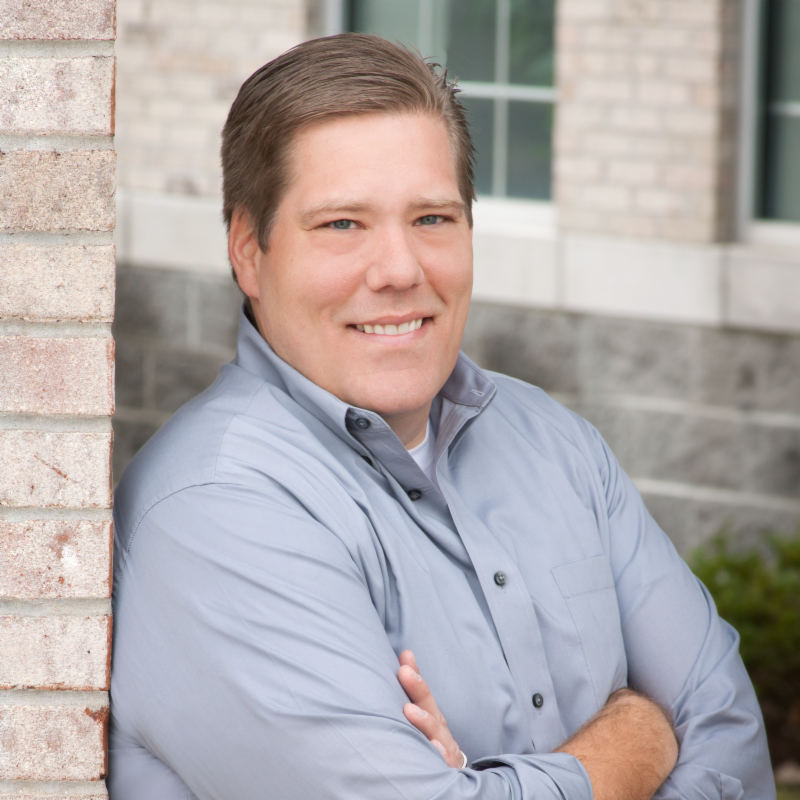 Chris attended Hope Church in his early years and is the son of Ken and Melody Ruge. His work has taken him and his team all over the globe creating the videos that are offered on prayercast.com. The mission of prayercast is to unite Christians around the world in life changing prayer for the lost. That of course sounds like an impossible task but nothing is too great for our God. By utilizing state of the art technology along with a deep devotion to their work they are literally accomplishing amazing results. Did you know that more Muslims have turned to follow Jesus in the past 15 years than in the previous 1,400 years combined. Muslim world to date. Over 150 new videos which are designed to stir your heart to pray strategically, fervently, knowledgeably, and passionately for the 1.8 billion people that God loves. Former Muslims from every part of the world who now follow Jesus will lead you in prayer and praise in each of the videos. Some of the other projects prayercast.com has been involved with over the past few years was Chicago 77. Chicago within it's city limits has 77 distinct and separate communities each with it's own history and heritage. The opportunity was offered by email to pray for each one of those communities for 77 straight days. In like manner over the past two years you could subscribe and they would email a different Muslim country to pray for each day during Ramadan. There is much more work that they and their parent organization "One Way Ministries" have done and are doing but space here is limited. Look for more information regarding Chris's visit and join the Mission's Board in welcoming Chris on Sunday July 15th. We watched Roscoe’s Memorial Day parade and then walked over to Leland Park to your community picnic. What a nice time we had! We sat by an active family of your church talking until food was ready. What an array of food and desserts. I just wanted to thank you all for organizing my baby shower on Sunday. It was so beautifully done and I had a lot of fun! Joseph and I really appreciate that you took time out of your own busy schedules to celebrate our baby boy. Won’t you consider coming to one or both of our July White Cross work days on the 3 rd and 24th (fourth Tuesday this month due to VBS on third Tuesday) as we prepare quilts, layettes, rolled bandages, pillowcase dresses and boys’ shorts for Operation Christmas Child. Our group gathers in Drake Hall from 8:30 to noon and always enjoys fellowship, food, and satisfaction of serving others while we work side by side. The five totes that left HEFC in early June carried 470 layettes (kimono & receiving blanket), 385 4-inch rolled bandages, and 18 dresses for Tandala Hospital and Elikya Center in the Democratic Republic of the Congo. Additional statistics in which you might be interested are the 85 completed pillowcase dresses and 145 pair of boys’ shorts which have been prepared for the Operation Christmas Child shoeboxes that will leave Hope in November. Thanks to all the volunteers for preparing all these needed items recently. Please consider asking Sharon or Connie for items to prepare at home. Just bring your scissors and your servant’s heart and we’ll teach you the rest. 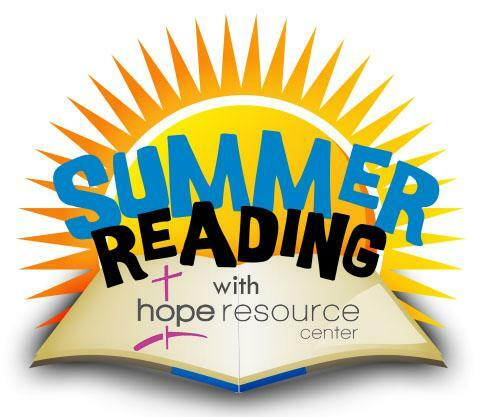 There’s still plenty of summer left for our Summer Reading Program! Bookmarks are available at Hope Resource Center or at the Welcome Center. Read any 5 books from our fabulous church library and record them on your bookmark. Save your completed bookmarks and turn them in for yummy prizes from Culver's! Never been to Hope Resource Center? Come check us out! We are located in the northwest corner of the church building; just follow signs to the library. Registration is free and available to anyone who attends Hope Church. We hope to see you soon!